Type location Burkino Faso (Bolton, 1987: 378, not illustrated, worker) . Bolton's description (1987) is at . 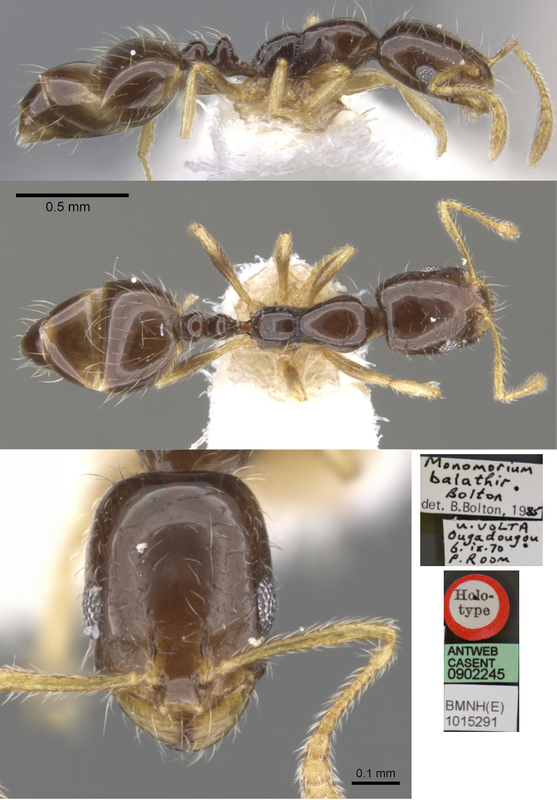 WORKER - TL 2.2-2.3 mm (Bolton, 1987). The photomontage is of a worker from Senegal, Sabodala; collector B Ndiaye. This and the specimens below appear to match the Bolton description but are somewhat smaller. 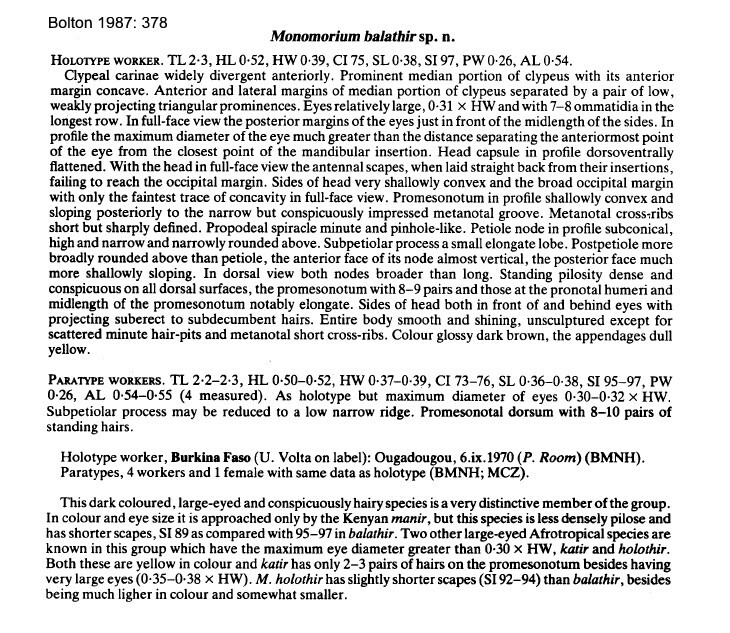 About half the specimens are paler and more yellow brown but all have the large eyes and quite abundant erect pilosity. The photomontage is of a worker from Senegal, Tessekere; collector B Ndiaye. The photomontage is of a worker from Senegal, Dindifa; collector B Ndiaye.